Wow! How is it August already? While it is still very much hot and summery here in Louisiana I can not help but start thinking about Fall. The layering and cozy vibes are screaming my name right now. If there was one fabric that you could wear year round what would it be? My favorite fabric is definitely silk or for a more budget friendly option, satin. 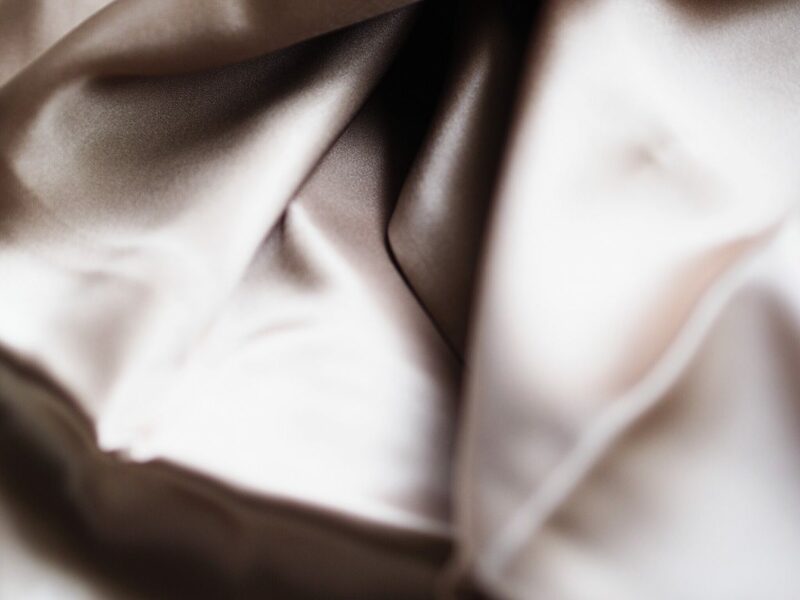 You can find some amazing silk and satin pieces here. Silk and satin are both so light and airy for the Spring and Summer; then also my favorite layering piece to transition to Fall and Winter. If you follow me on Instagram, then you would have seen a pair of dusty pink satin pants I paired with a white crop top in my stories. Those pink satin pants have had a place in my closet for, going on, three years now. They are so versatile. I love wearing a chunky knit sweater with them along with some booties in the Fall. If you want to invest in one silk piece for your wardrobe I would say go for a camisole. You can go with something a little more simple, but I love a lace silk cami tucked into a pair of distressed denim with a blazer thrown on top. Or, if it gets a little colder where you live then a suede moto jacket would be perfect as well! I have picked out a few of my favorite silk and satin pieces, but I have to say the Anine Bing pieces from Shopbop are some of my favorite silk camisoles. There are so many different ways to wear silk and satin. If wearing a silk skirt or satin camisole is just not your thing, then you are in luck! Silk scarves are huge this season and so are silk scrunchies. I am so thankful to have inherited my maw maws stash of vintage scarves. Would you wear them in your hair? I actually love wearing mine as a headband or just around my neck. Sometimes I even wear them as a belt. I have yet to tie one around my ponytail, but that looks so cute on everyone else. I just might need to try it out. And lastly, If wearing silk and satin on your body is just not for you, then I have you covered! I am sure you have heard that a silk pillowcase helps with skincare and also with hair health. Well, I am here to tell you that you NEED a silk pillowcase! I bring my slipsilk pillowcase everywhere when we travel. I can’t and won’t sleep on anything else. So, if you are interested, then you can find all things for night time silky goodness here! I could have easily said denim was my favorite fabric to wear each season, but I am pretty sure everyone is obsessed with denim. I wanted to pick something that made me feel put together even when I had comfy joggers on and sneakers. Speaking of, I LOVE a silk camisole front tucked into a pair of joggers. Pair that with a leather jacket in the winter and you will be looking oh so chic. So, what is your favorite fabric to transition from season to season? Let me know in the comments below and don’t forget to subscribe! Silk and satin tops are seriously my favorite trend right now!